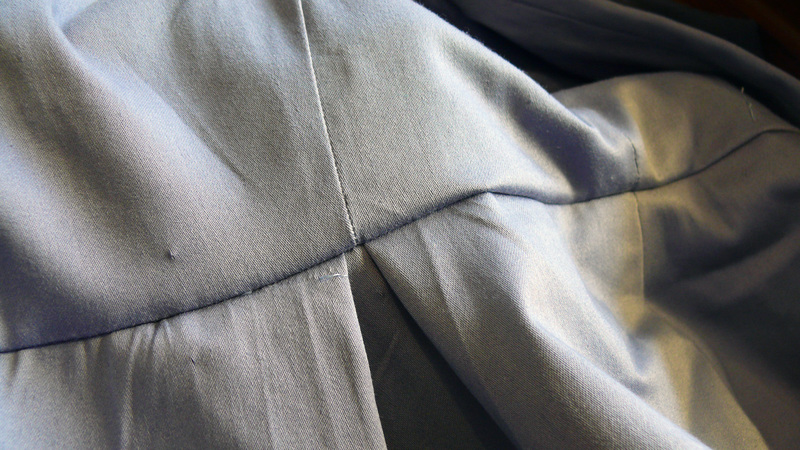 When I was sewing my Elisalex dress I had a hell of a time trying to get the bodice to match the skirt. I’m sure it was a glaringly obvious step that I overlooked or stuffed up in the fitting/pattern alteration stage, but those damn box pleats just would not match up with the princess seams and side seams on my skirt back, or if I pinned them that way, there was all sorts of issues. I clipped the hell out of my skirt to stretch out to fit my bodice, sewed it up, and was horrified at the results.